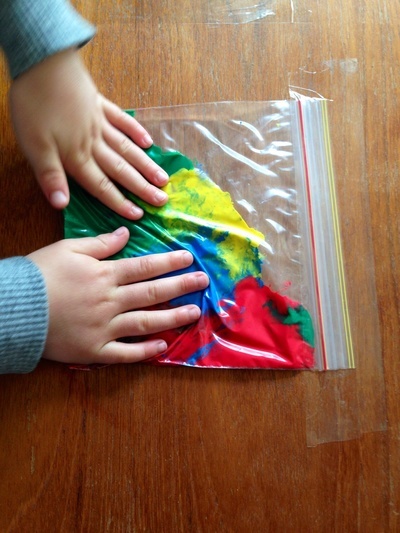 These squidgy rainbow bags are a no mess 'messy play' activity, perfect for Under 5's on a rainy day. 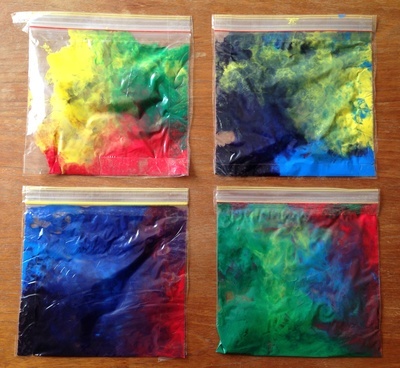 Squeeze different colours of paint into a zip lock bag. 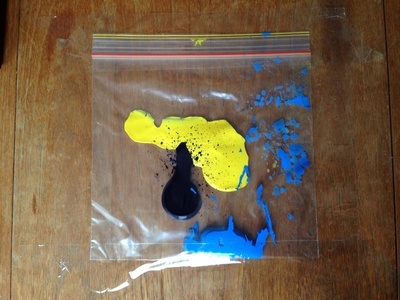 Zip the bag closed, releasing any excess air. 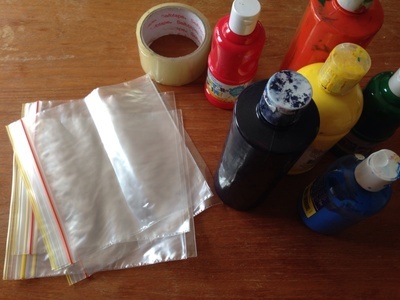 Tape the sides of the bag to a table. 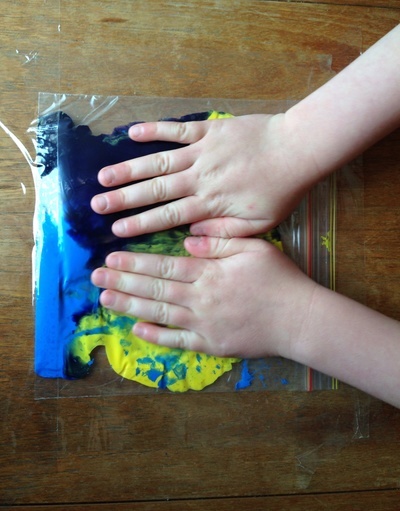 Kids can now squish the bags and mix the colours. Hands stay nice and clean! 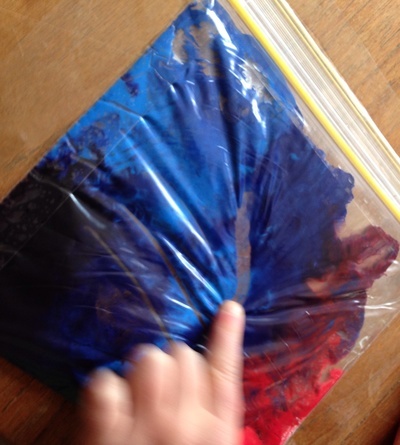 Preschoolers can practise making letter shapes or other designs.